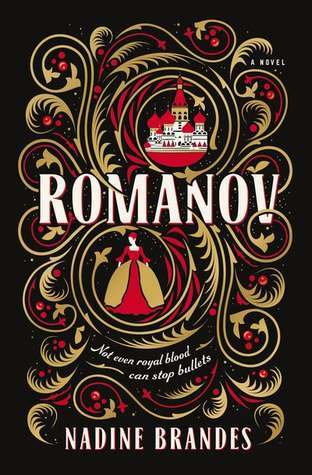 Before I say anything else, let me say that I have an intense interest in Russian history, and in particular, the last Romanov tsar and his family. I’m also a fantasy nerd, so I was delighted to get a copy of Nadine Brandes’ fantasy interpretation of their final days, and excited for a historical fantasy addition to the many books about the tragic end of the Romanovs. The book was very well researched, and I think Brandes did a great job of weaving historical facts into the narrative. However, I did not like this book as much as I’d expected to. One main issue I had was with the characters, whom I felt were flat and uninteresting. I think this may be related to the use of first-person p.o.v., which sometimes makes for lazy characterization. I just couldn’t seem to connect with any of the characters, which was totally surprising, considering they were based on such well-known, interesting historical figures, who led rich lives and left behind a large amount of personal documents. I think the biggest problem is that the story of the Nicholas II and his family, including the most famous daughter, the lost Grand Duchess Anastasia, is just far too dark to make for any kind of reimagining. The tragedy may have happened over a hundred years ago, but the brutality of the deaths is still too fresh, and it casts a shadow over even this novel. Many thanks to Thomas Nelson and Nadine Brandes, as well as NetGalley, who provided me with a copy of this book in exchange for an honest review. All the thoughts and opinions expressed in this review are my own.